Relocating to another country is tough. There is not a better way to get the nitty gritty of expatriation than reading other people’s experiences. We have gathered the best expat blogs of 2017 below. 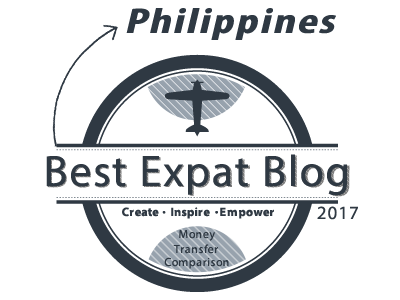 For each destination, we have conducted an extensiveness research and came up with one blog that we believe is the very best for expats relocating there. Congrats to all the winners and looking forward for your comments, shares and embedding the Expat Blog Award. Feel free to contact us if you need assistance or have any questions. The author moved to Argentina country in June 2012 to start a new life over there. The blog is about personal experiences, videos, photos and cultural comparisons that readers will find fascinating. He further mentions there are many destinations apart from Buenos Aires that visitors can try out. For instance, Bolivar is a nice little town found approximately 6hrs away from the metropolitan district of La CABA. It offers a nice serene environment for visitors to relax away from the hustle and bustle of big city life. Jorge’s photos and enticing way of writing will make sure you, the reader, will read every post all the way through and enjoy it. Rachel moved to Sydney from the UK with her husband in 2017. Her blog is her personal rambling space, where she shares her emigration experience. Every month, she posts a “summary” of what that month has been like, and she discusses the good- the upside and thrills of living in Sydney-, the bad and the unspeakable ugly. She also focuses on nutrition and expat life, with stories from other expats from all over the world. She also shares her travel stories from all over the world, as she has been to the USA, France, Turkey, Hungary, Cambodia, and a host of other countries. This is the personal blog of Michelle, an American expat living in the Austrian capital of Vienna. Though brought up in the state of Connecticut, she migrated to the European city after her husband got a job there. In one of her posts, Michelle describes Vienna as an incredible place with a lot of things to view, eat and do. The author says that so far she enjoys living in the region, and during the weekends she usually goes out with her husband or friends for some brunch, or even attending one of the several events that Vienna occasionally hosts. Mitchell also has a Facebook page called Women of Vienna where local women residing in the area can interact. Time Wellspent is an interesting blog that gives expats living in Bahrain tips on how to enjoy life while living there. The site is owned by Jaina who is a UK born & bred woman who recently migrated to Bahrain in 2014. After living in the region for 3yrs, Jaina says that she now understands various perspectives about the small middle-east country. She describes Bahrain as a laid back and friendly place, with a culturally diverse atmosphere. In fact, according to her blog Bahrain was recently named one of the globe’s best expat destinations, which indicates that many people seem to enjoy living in the country. This blog is owned by a UK native, Angela Coleby and she currently resides in Barbados with her husband, 2 dogs and 3 cats. They have been living in Barbados for around 3yrs, though before that they stayed in Dubai for 5yrs. In her blog, Angela explains the complete change of culture she has experienced going from city-life to island-life. The author has enjoyed transitioning from the world of accountancy to flip flops, sandy beaches, sunsets and the affordable but quality rum that’s readily available. Angela advises other expat women living in islands that though it may take a while to completely adapt, soon they will become self-actualized and nothing shall faze them anymore. Live in Belgium is an expat blog that shares basically everything about living in Belgium- from Belgian food and lifestyle to events and happenings around Belgium. It also shares tips on living just like local Belgians. It’s a very vibrant and informative blog, with a lot of helpful sections. This blog offers tips and tricks on best travel hacks, and also posts food reviews to help you locate the best food spots in Belgium. 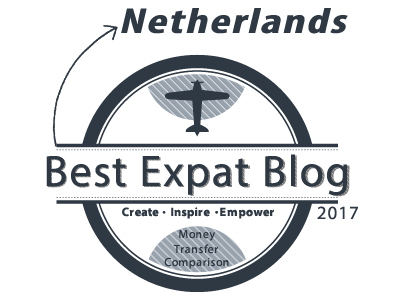 The blog is complete with “Dutch language”, “General Information”, and “Job tips” sections. It really is the perfect guide for tourists and immigrants in Belgium. As the name suggests, this WordPress blog is owned by Amana Cox, a young lady with a lot of passion for travelling and exploration. The writer has been touring the world on her own since the age of 15 and loves visiting new countries. In the site, Amanda says that though it’s fun to take a trip with other people, sometimes things don’t work out as expected and it can be better to travel alone. She likes visiting new places and encourages other people not to be discouraged by anything, but rather explore the world just like she often does. This way one can also learn how to be free and independent. Jenny is a German living in São Paulo, and she runs the Tropical Treasure Hunter blog. After moving to São Paulo from Switzerland with her husband, she quit her Zurich job and began an MBA in São Paulo. She blogs about her life and experience in São Paulo, and she shares her favorite restaurants, quirky places and hidden city getaways that are absolute gems. The “São Paulo” section of her blog will make readers feel like they’re right there with her as she efficiently describes the beauty and wonder of São Paulo. She loves traveling and experiencing new places, and she’s eager to share her finds and discoveries with the world. Also known as Uncle Bulgaria’s, this blog discusses all things about the country from the perspective of a British expat. It gives readers a diverse blend of Bulgarian news and perspectives, including other topics that the author finds interesting from back home in the UK and other regions around the world. In short, Uncle Bulgaria’s blog can be described as witty, shocking, challenging and unique. Sihanoukville is an insider’s blog that gives insights on the way of life in this Cambodian town. The site is owned by Rob Schneider, an expat who has been residing in the region for the past 10yrs. In one of his posts, Schneider says he loves swimming which forms part of his main past-time activities in the region. 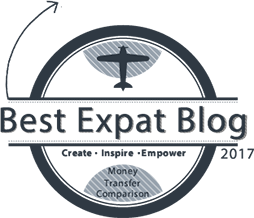 Rob maintains another expat related website but with more of a personal blog feel to it. 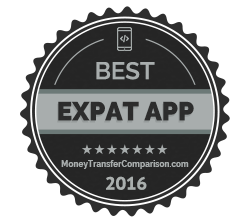 You can check it out at https://www.expat-journal.com. Emma and Stewart – authors of Brown Bear Travels – moved to Canada from the UK last year, with the idea of finding a job while using the opportunity to travel. They’re funny and adorable, and really do their best to understand everything about Canada (including the sports). They’ve managed to uncover some of the hidden gems in Toronto and throughout the country, including all the bargains and freebies available to anyone on a budget. We chose them for their excitement with every new day they spend in Canada. Sonja writes the blog Riotrules, and has done so for over a decade! Living in Shanghai, Sonja blogs about her travels around the world, reviews of books she’s read, snowboarding, and more. Every post comes with quality photos, which truly do say 1000 words or more. The aesthetic beauty, along with the wide variety of the content, makes Riotrules our pick for China. How To Bogota is owned by Naomi, a south-east London, UK native who moved to the city of Bogota, Colombia in Oct 2013. Naomi mentions that her decision to relocate came from the heart, and that she now works as an English tutor at the country’s British Council. During her free time, Naomi also works as a freelance translator, writer and proof-reader. The site offers tips and commentaries about Naomi’s personal experiences living in the region, so that other people can find it easier to settle in when they move to the Colombian city. The author says that moving from London was a big change, but so far she had adapted well to the new location with its unique food, language, music and culture. 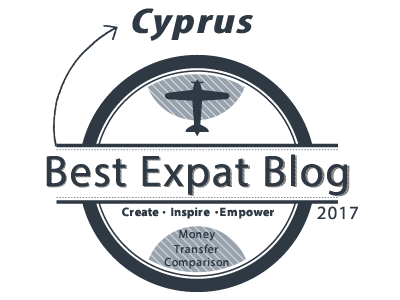 Though this blog is mostly dedicated to kids residing in Cyprus, it also mentions fun activities for children and families alike, including museums, water parks, outdoor playgrounds, schools and adventure parks amongst other amenities like Dinosaur Park, Bouncing Castle and George’s Ranch for some fantastic horse riding experience. Many expats have to move with their families and most of the times, there is a little one in the mix. This is why knowing how to easily find activities for kids can be a real lifesaver for parents. Beyond Prague is owned by Kevan, a Canadian expat who moved to Czech Republic in July 2004. Kevan currently resides in Brno which is the country’s 2nd biggest city, the metropolis is found in the attractive south-east territory of the country. Throughout his 13yr stay, Kevan has come to love Czech just as much as his native land and is proud to share his experiences through the blog. The country has compensated him well with its wide array of places to visit and things to see. Czech also boasts a well-developed network of bus transport and railway system. With his blog, Kevan hopes to share a bigger picture of this tiny but fascinating Eastern Europe nation. Dejlige Days is owned by Melanie, a British woman who has been residing in Copenhagen, Denmark for the past 8yrs. Melanie describes her blog as distinctive, since it offers visitors personal relocation tips to make their lives much easier when moving to the region. The site is particularly meant for English-speaking couples living in Denmark as expats. Melanie started this site in 2013 to serve as a platform for sharing the various things she loves about the city, which is currently undergoing a period of amazing growth. Most of her writings are about the unique aspects of living in Copenhagen, such as making friends with locals, parenting, lunch culture, cycle helmets, lunch culture and so much more. This exciting blog is owned by Angie Drake, an American freelance author and photographer with great travel experience. She shares personal experiences about South America with the hope of encouraging more North Americans to visit the area, there are many beautiful vacation spots to be discovered by visitors. In one of her postings, Angie mentions Ecuador as a favorite spot for wildlife photographers. The country offers memorable shots of native species of flora and fauna, especially in the sub-tropical forests of the Ecuadorian Amazon Basin. There are also amazing local desserts to try out such as Helado de Paila, a fruit, water and milk-based ice cream that’s perfect for both kids and adults. This blog is the brainchild of Julie and Jayson Casper, an American couple currently residing in Cairo, Egypt. Through the site, they hope to share all that Egypt has to offer from their own perspective. Some of the topics of discussion found on the blog are language, culture, people and religions. They hope their posts will help overcome the common stereotypes that many Egyptians have towards Americans and Christians as well. The blog seeks to bring a greater understanding between cultures and religions. Expat In Estonia is an interesting blog owned by Alina, an expatriate who’s been living in Estonia since Aug 2016. The author currently resides in the town of Tallinn, she migrated to the region after 6yrs studying and working as an expatriate in Denmark. In the blog, Alina describes that she loves playing the piano, traveling, writing, video production and generally leading a healthy lifestyle. She’s also fascinated by the cuisine which is one of a kind. Among her most favorite local foods is Kohuke-Curd snack, a tasty curd that’s covered in chocolate glaze. Another sumptuous meal is Mulgipuder, a traditional Estonian meal made of barley and potato. Me and Fiji is owned by Somer, an Australian mother whose family spends most of their time moving from Australia’s Gold Coast and the gorgeous island country of Fiji. Somer hopes to share her experiences on the site to help families that want to relocate to Fiji, including first-time holiday travelers and professionals seeking to become expats. Visitors who want to read special blog posts, or get exclusive access to Fiji-specific travelling tips and recommendations are also welcomed to sign up. Somer also loves reading comments on her blog and encourages readers to post their thoughts after going through the articles. She promises to read and give response to all the comments. Chymecindy is a blog run by thirty-something year old mom Cindy Henriksson. She loves photography, adventures, traveling, and the colors yellow and white. She’s a Filipino expat who’s been living in Finland since 2011 after making the decision to pack her bags and make the move. Chymecindy is a lifestyle blog that covers expat life, daily life musings, motherhood and parenting, shopping guides, fashion, DIY projects, and of course, her travel adventures. Cindy shares her story on her blog through photographs and words. The American Mom in Bordeaux has a singular appreciation for her opportunity to absorb a “new” culture. She has been living in Bordeaux for 4 years already, but her enthusiasm for new experiences has not softened. Jennifer brings insights into how to ease kids into a new country, as well as getting used to them becoming almost indigenous to the land. Her unique descriptions and constant verve for French living made her the perfect choice. Victoria is The British Berliner, a girl from Manchester in a city with barely any Brits. Being fascinated with culture, she is an accomplished traveler, and works as an intercultural life coach. She has been featured in The Huffington Post, as well as many travel websites, and for good reason – her posts are funny, extensive, and cast a critical but positive eye on expat life. We chose her for her wit in describing the highs and lows of a traveler across the world. Olive, Feta and Ouza is about Amanda and her family. Amanda lives in the Greek island of Rhodes, and gives a pretty full account of what she experiences as an expat, and a resident of Greece. Not only does she write about her life and adventures, she tackles serious topics as well, such as the refugee crisis. Her eloquent opinions are not to be taken lightly. We chose Amanda for her candidness and courage to tackle the hard stuff. Kate Farr is a mom, and she runs Accidental Tai-Tai. She’s also a freelance writer and editor. 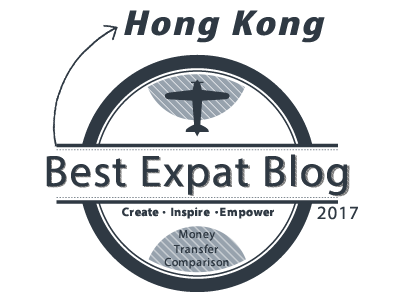 She primarily blogs about life in Hong Kong, living in Hong Kong with kids, parenting, traveling, expat life, and fun activities to take part in while you’re in Hong Kong. Her main focus is on Travel, Food, and Kids. She shares a lot of posts which include pictures and stories of her adventures around Hong Kong with her kids. She takes readers through the thrills of living in Hong Kong by sharing details of her family’s trips to some of the most beautiful and vibrant locations in Hong Kong. This blog is run by Liz, an American who moved to Israel in 2004. What started out like journal entries about the birth of her first child, Aliyah, has grown to become a highly informative and entertaining chronicle about her life as an expatriate and a parent to a growing family. Although Liz initially moved to the capital city of Jerusalem, she has since informed her readers that she has relocated to Tzur Hadassah, a small community settlement in central Israel. If you’re thinking of visiting Israel, this blog caters to your needs explicitly. She provides details to what she describes as Israel’s key resources. For visitors she has provided phone service details, shopping options, birthing information and much more. Now to those of you thinking of making the big move, fret not, Liz has got just what you need. She gives information about getting a residency permit/job, buying home equipment, planning a Jerusalem wedding (cool right?) and even the links to other helpful expat blogs. My Sardinian Life is a travel blog owned by Jennifer Avventura, an author specializing in the vibrant city of Sardinia, Italy. She has been writing on the region since 2010 and some of her posts have also been featured in various publications across Canada and Europe. 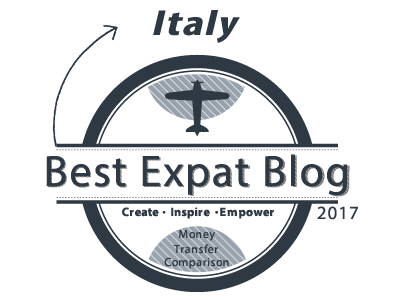 The blog was created to share with the rest of the world Sardinia’s raw, natural and bedazzling island life. It also features random posts on life, traditions, recipes, culture and festivals, including the incredible coastline that’s second to none in terms of beauty. Jennifer encourages readers to keep their eyes peeled open for fresh posts that will be included about the cost of living, colorful and lively snapshots, the hospitality industry and bloopers that audiences will definitely enjoy reading. Celia in Tokyo is an Australian expat originally from a tiny dairy-farming town. Living in a city like Tokyo was her lifelong dream, and circumstances allowed her to fulfill that dream in March 2013. Celia takes expert photos. She participates in a “weekly photo challenge” in which she posts photos around a theme. This allows her to show us around Tokyo, bit by bit, in a variety of different ways. We chose Celia, because of the wormhole she provides for us to enter Tokyo with her. Stuart is a British blogger who, with his distinctive wit, claims to have accidentally invaded Holland. He lets us discover the Netherlands with him, describing his adventures with a wide-eyed innocence that’s both charming and very very funny. Invading Holland is full of insights about navigating a country in which you don’t know the language. Stuart is also a cartoonist, and his pictorial posts portray his reflections with nuance that cannot be expressed in words. We chose this blog for its both thoughtful and observant depiction of life for a Brit in a (not-so) strange land. Vanessa runs Snow in Trømso, and she provides her readers with a honest account of what life is like in Norway. She also shares beautiful photos and stories of her adventures in Norway, Iceland, Finland, Denmark, Sweden, and Greenland. Apart from this, Vanessa uses her blog to share insider information and off the beaten path destinations to people who plan to take a trip to the Arctic and Nordics. With the help of the “Norway FAQ” section, she answers whatever questions tourists and immigrants might have. Randy fulfilled his dream of having a stress-free lifestyle and living under the warmth of the tropical sun by moving to the Philippines. A story that we all heard from time to time about different people. But his story is a little different and the blog documented every step of the way. He really left everything behind, liquidated all his assets and build a new home, from the ground up, in Samar. You can even see the progress on his Youtube channel. So if you ever want to take the same route, Randy’s blog might be the best resource for you. Algarve Blog is run by Dave and Alyson Sheldrake. 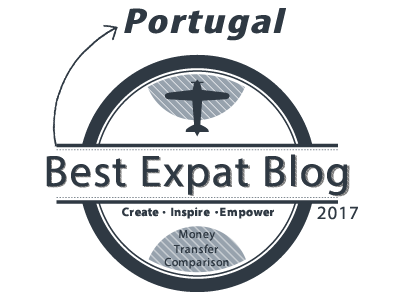 They started the blog because they wanted to share their beautiful home Algarve with the world. The blog has some amazing highlights, such as the “Places To Go” section, which consists of their favorite beaches, towns and monuments in Algarve. They also give information about some of the best Algarve fairs. 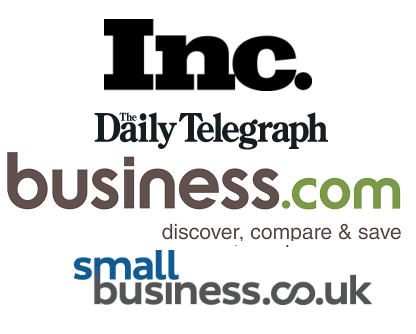 You can also find daily Algarve news, and Algarve media on the blog. If you’ve never heard of, or been to Algarve, reading David and Alyson’s blog will make you want to go there, because the vibrance and beauty of Algarve is accurately captured. The Blue Abaya, a website that was founded by the Finnish blogger Laura Alho in 2010, started as a personal blog describing her expat life in Saudi Arabia but ended up being a well known travel blog for anyone interested in visiting the Kingdom. 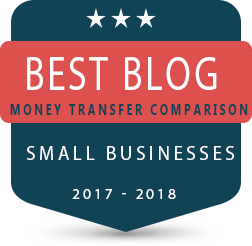 The blog is full of great information with guides, things to do, restaurant reviews and so much more. But the best thing to do on her blog and Instagram account is to see all the great galleries of photos from different regions of the country, the desert and the beaches. Sine lived in South Africa from 2010 until 2013, but still blogs about her experiences there. She does a particularly good job of clarifying the realities of living in a country, on a continent, that is often entirely misunderstood by outsiders. Johannesburg, a city that is viewed as dangerous and unknown, is seen through her eyes as a “normal” city with its own very particular charms (mostly the sun). Her clarity in describing the cultural context of the country makes her our choice for South Africa (also, her decision to name one of her daughters “Impatience” gives her a special appeal!). 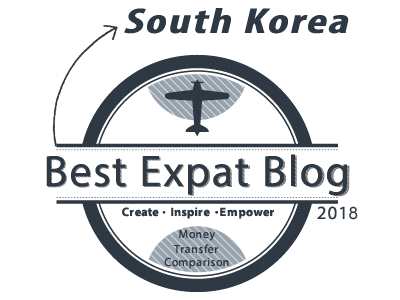 A Broader Tale is the blog run by Alexa, a twenty-something, wanderer and yogi, that loves to travel and began her expat adventures teaching English in Boseong. The experience as a Native English Speaking Teacher, working in 4 public schools with the Jeollanamdo Language Program, can be read on her blog by others that might be interested in this type of journey. As of October 2017, she moved to Taiwan and began teaching English for a private company in the country’s second largest city, Kaohsiung. But her blog still retains a lot of useful information about the life in South Korea. This blog is a journal recording of a British lady’s disillusionment with what the British school system does to her daughter Mamma, her decision to home school and finally move to Sweden. It charts the ups and downs of their adventure and provides hints and tips to encourage parents who are considering the option of homeschooling. Since the move to Sweden in 2016, the blog gives details about their adventures in the small European Island, the writer’s satisfaction with the Swedish school system (which she describes as having a positive approach to learning) and of course, the Swedish obsession with hotdogs. Mamma’s School has got such a personal feel that after following her updates religiously, you may actually begin to feel like you know the writer. Tea in the Ancient World is, as you may have guessed, the tales of a tea fundi living in Thailand. John extensively reviews different kinds of teas, while giving us flashes of how they connect with his life. John writes about his as a father, husband, and living as a monk for 2 months. The fusion of tea leaves and Thai lifestyle makes John our favorite expat writer in Thailand. Suzanne, aka Chickenruby, moved to South Africa from the UK in 2011. Then 4 years later she moved to Dubai. It was her husband’s work that took them from the UK, and then to Dubai, with her 2 teenagers. Leaving her job behind, she had to adapt to being a stay-at-home mum. Chickenruby blogs about her interests, boredom, and volunteer work. She’s also working hard to clarify misconceptions about Dubai (wearing a sleeveless top while drinking Smirnoff). It’s for her honesty in portraying the sometimes troubling and boring life of an expat’s wife that we chose her. Kamila, aka London New Girl, moved from Australia to London 3 years ago, and since then has been documenting her experiences. She takes us through her experiences as a young adult Aussie – active and constantly on the move. Her blog is especially worthwhile, as she has extensive advice on getting and staying fit in London, finding your place, and traveling with pets. Kamila was an obvious choice for us, with her very organised chaos proving fun and useful. Anne-Marie is an Australian expat who has lived in New Jersey since 2013. She is a mother of 2 and, aside from her move to the US, is a world traveler. You’ll find expert advice in Expat Aussie’s blog posts. In fact, all you need to know when moving to New Jersey can be found in the archives, and that’s what makes this blog our choice. Thanks so much. Very honoured to be awarded best expat blog 2017 – Germany! I’m sure many expats around the world will benefit from this very detailed post. Delighted and honoured to have received the award for the best expat blog 2017 – Estonia. Thank you very much!